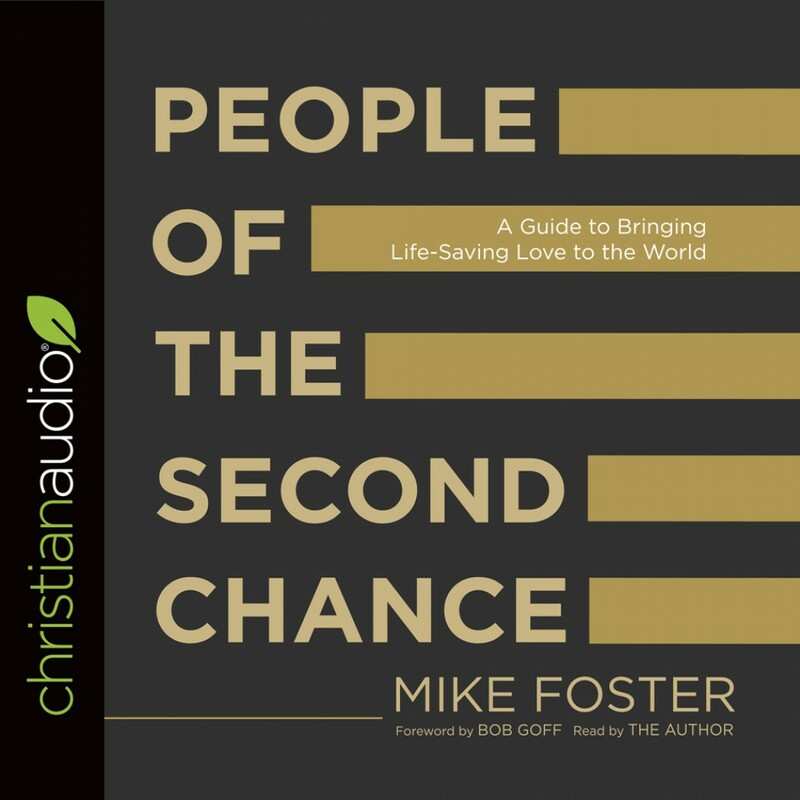 People of the Second Chance By Mike Foster Audiobook Download - Christian audiobooks. Try us free. One of the keys to encouraging vulnerability in another person is the willingness to vulnerable yourself. For many of us this is doable, and yet we have invented an imaginary line of “appropriate vulnerability” that seems to say, “I am ok being this vulnerable, but beyond that is too much.” In People of the Second Chance, Mike Foster argues that real thriving only comes when we embrace the darkest and most uncomfortable parts of our story. And then he boldly crosses the “appropriate vulnerability” line and models how to embrace embarrassment, shame, awkwardness, failure, and pain in a way that allows God to redeem it—unimaginably—for good. To be clear, these are not the typical confessions of an author or speaker trying to “emotionally connect” with the audience. This is some really raw stuff. There were times I literally squirmed as I read, feeling embarrassed for Foster, only to find myself completely amazed by how he speaks of God’s unconditional love. Foster seems to be a man growing more at ease with his failures and his painful story, quick to bring them to God so that the relationship can be that much deeper. What a powerful example! Foster also includes examples in the book from the stories of others. Many of these are people that Foster has met through his organization, also called People of the Second Chance. One particular story that impacted me was that of Heavy, an incarcerated man for whom Foster and some others threw a “prodigal party.” Foster speaks lovingly of this hardened man, and then he turns his attention to the dignity-stripping environment of the penal system. His critique of this broken system is made more credible by his ministry to those inside. He speaks of others who are tackling this same system and he challenges the reader with, “We will never change the world by doing things that make sense. Societal and religious norms must be pushed to the brink of absurdity sometimes in order to move us forward.” Foster champions the restoration of dignity on an individual as well as systematic level all throughout the book. Along the way, Foster also ventures into other dark territories including abuse, the comparison game, judging others (with an amazing bacon analogy), and depression. I can imagine this book setting so many people free by becoming a manifesto for imperfection in a society that is uncomfortable with this level of vulnerability. Will we trust God—and others—enough to courageously admit our imperfections, and create a culture around ourselves where others can do the same? I highly recommend this book, particularly to those in the helping professions that would regularly encounter those with deep hurts. However, I would say this book is meant to be ruthlessly applied to ourselves first, and I certainly have benefited from Foster’s raw wisdom. Foster does a great job narrating the audio version of his book. I cannot imagine anyone else narrating a book so intensely personal, so I am glad he did it himself.